I recently started working with a new personal shopping client, Gerard, aka Coach G. One of his main objectives was to have a suit made. In the past I’ve worked only with women. Now I have learned more about mens’ suits than I thought possible. There are so many details and decisions. Two buttons versus three buttons. Side vents versus center vents. The difference between how suits are cut in Europe versus America (Europe… slim, very slim). One great thing about living in Italy is, it’s not difficult to find a sarto (tailor) who can make a suit by hand. The issue is, which one? Do you go with a local sarto or a store like Kiton, Brioni, or Rubinacci? Bespoke suits are not cheap. They are an investment. Before paying between 1,900-15,000 + euros for a suit, do some homework. 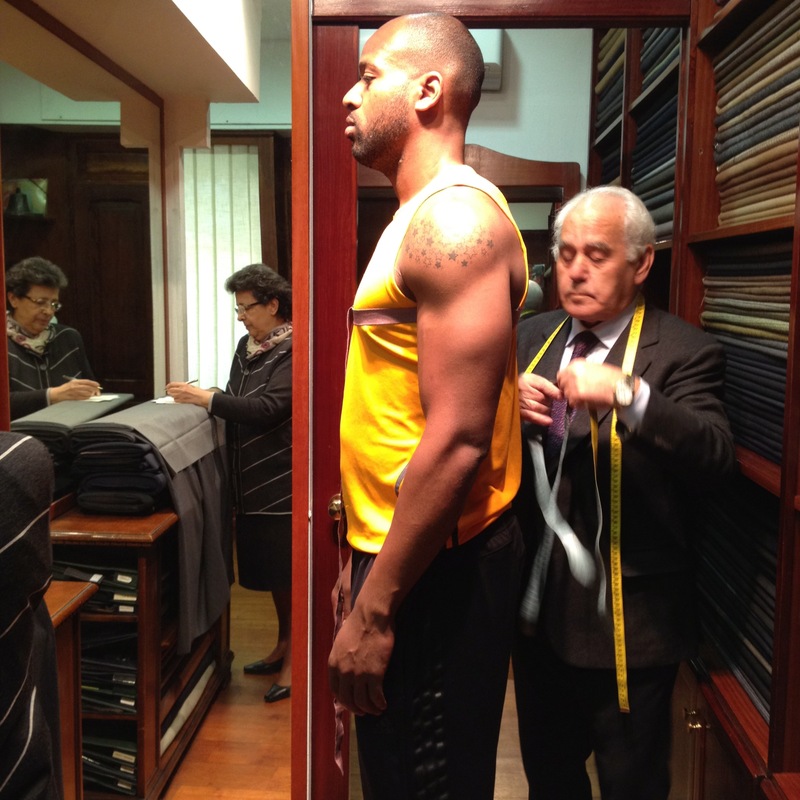 First, is it really bespoke or MTM (made-to-measure). There is a huge difference. With a bespoke suit the tailor is on sight. You have fittings with the person who is actually making your suit. A pattern is cut based on your measurements. The suit is made by hand not computerized machines. An excellent sarto will make a suit that fits your body perfectly. MTM uses standard patterns. Once your measurements are taken, they are sent to the factory or a tailor offsite. MTM is good option for people who want to spend less than bepoke but want something that will fit better than RTW (ready-to-wear). If someone tells you that your suit is bespoke and the man who is making your suit is not there to see you in person, or the suit is not made by hand, then your suit is not bepoke and you shouldn’t be paying bepoke prices. Second, get a referral and/or pull images of suits that you like worn by people who have a similar build to your own. One of my friends is married to a man who dresses impeccably. I asked her where he had his suits made and that is how I found Signor Marinuzzi. I went to see him. He and wife do not speak a word of English. I told them about my client and what he was looking for. They showed me different fabrics and a suit in progress. I left believing Gerard would be in very good hands. Signor Marinuzzi makes suits for men and women. That’s it. Only suits. When you’re ready, let me know. I’ll talk to my contacts in DC. Perchance, did you make a cameo appearance on House Hunters International about a couple (her, a travel writer, him, an archaeologist, with 2 daughters) looking for an apartment in Rome? Yes, that was me! I had no idea I was going to be on TV. This is so cool. I love the pictures. As with so many things here in Rome, word of mouth is generally the best way to go. I am really excited to see the finished product; I hope you’ll post some pictures of Coach in his bespoke suit! Kudos to you on your new venture. I think there could be a nice niche market for English-speaking visitors who’d like to do something special like this but don’t know who to ask. I think a decent suit for a man is a great investment. These kind of suits will stand the test of time for quality and fit. I hope to post some photos of Coach in his new suit… can’t wait. It depends on how long the tourist will be in Italy. 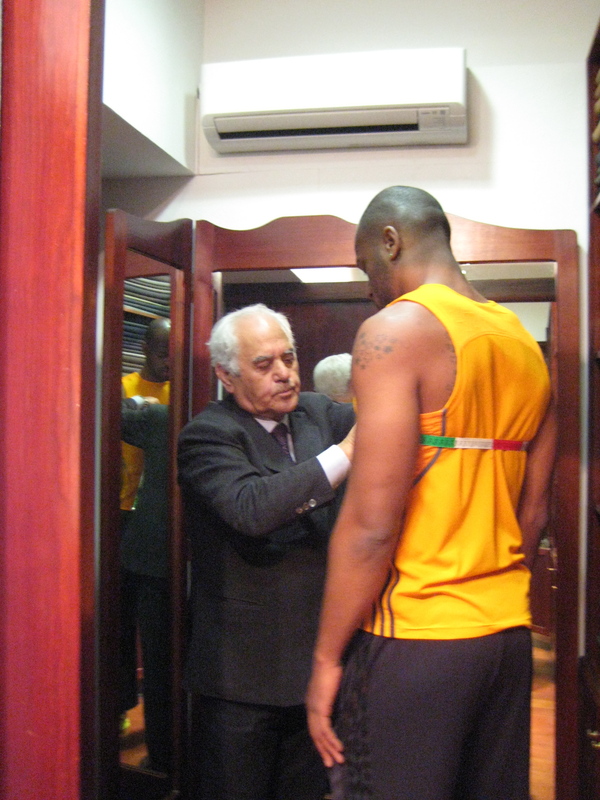 These suits take a while to make and they would need to be here for fittings. But there are some stores/Sartos that will fly abroad for fittings. Really fascinating stuff! 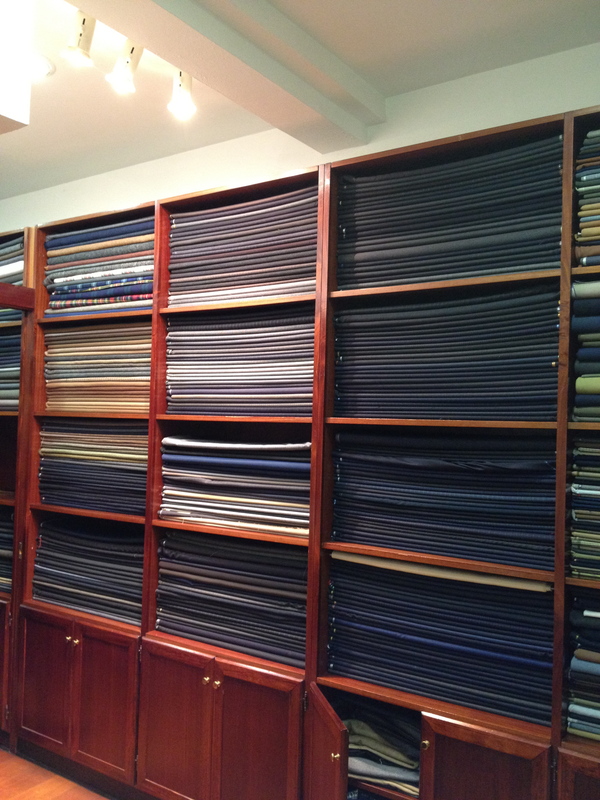 So how long would it take to get a bespoke suit made? Can’t wait to see the final result! It takes anywhere between five – ten weeks to make a bespoke suit. I think a lot depends on where your suit is being made and who is actually making it.